"Mooooom! She's looking at me!" "Mooooom! She won't give me the iPad!" How many times a day do you hear stuff like this?? A million it seems. What is it with kids and tattle telling?!?! Well, when I figure that out, I'll be sure and share with all of you. In the meantime, though, here's your chance to turn the tables a bit and tattle on your kids!! 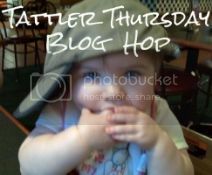 I'm co-hosting the Tattler Thursday Blog Hop! Please see the rules below, then leave a comment to tattle on your kids and link up your blog, Facebook, Twitter, and/or Bloglovin!!! Hiya Snappers! Welcome back for week #10 of the Tattler Thursday Blog Hop! It's time to tattle and hop! 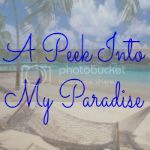 It's a share your crazy, gross, hilarious, in-the-trenches parenthood stories, kind of blog hop! I love funny kid stories and I want to hear yours! Just leave a comment with your story, post not required! 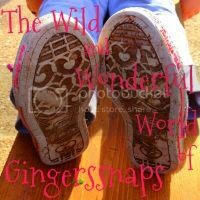 So think of your funniest, wackiest or favorite kid stories, leave a comment with your story/tattle, follow your Host and Co-Hostesses, visit and discover other blogs, and have fun! Please, Please, Please follow your host and co-hostesses! 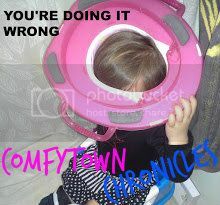 We do this for free, and fun, so don't be a bloghole and not follow! Also looking for future Co-Hosts(no cost associated and it's super easy just ask! Also a great way to gain new followers and make new bloggie friends)! Send me an email @ gingerssnaps32@gmail.com if your interested! Thanks guys and dolls! Muah! Wink! Thanks to this weeks co-hostesses, Miss Cristyl, Miss Joy, Miss Lisa, and Miss Cathy! Be sure to hop by their pages and give them some lovin'! Love these little gals! ***************************************************************** If You are interested in co-hosting, email gingerssnaps32@gmail.com for more information! OMG...so flipping cute. Since Dino is an only he LOVES To tattle on his daddy...and the big chooch just looks at me in horror like I actually believe what Dino said....so I guess I really do have two kids.